Today’s card features the Stampin’ Up! 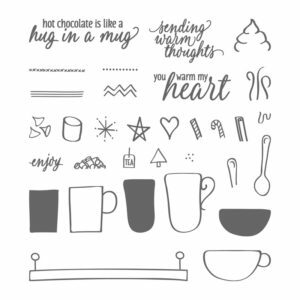 Hug in a Mug Stamp Set. What an adorable stamp set with so many creative options. I love that! My card today is festive, fun and just makes me happy. This time of year, when the weather is cooler, I love anything hot. Lol!! A couple favorites are Lattes and Hot Cocoa!! You can find this stamp set in the Stampin’ Up! Holiday Catalog on p. 42. I loved the sample on p. 43 so I cased it. I’m excited to share my version with you. 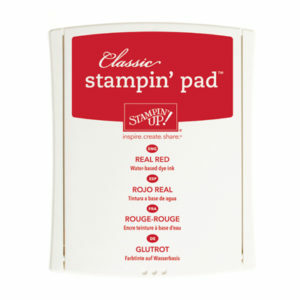 I hope you enjoy it and don’t forget about your Stampin’ Up! Catalogs when looking for ideas and inspiration!! If you want a bit more sparkle on this card you can add dazzling diamonds glitter to the whip cream and a metallic silver enamel shape or jewel rhinestone to the star on your coffee cup. Of course, you can change up the design and colors. Most important “Have Fun” and enjoy getting creative! 1. 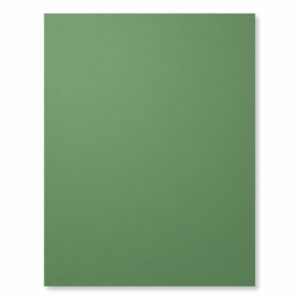 Cut a 8-1/2″ x 5-1/2″ piece of Garden Green Cardstock and fold it in half. This is your base. 2. Cut a 4″ x 5-1/4″ piece of Whisper White Cardstock. Center and adhere this piece inside your card. 3. 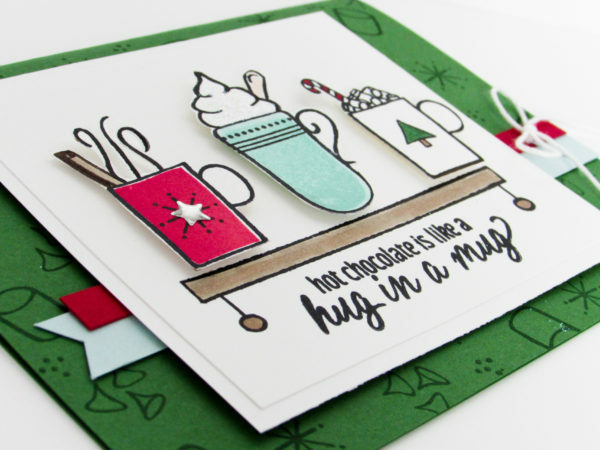 Using a Garden Green Ink Pad and your Hug in a Mug Stamp Set to randomly stamp your background. Tip: I used one acrylic block and stuck all my pieces to the same block. This way I could stamp all my background pieces at once. This saved me a LOT of time while stamping. 4. Cut a 1/2″ x 5-1/4″ piece of Pool Party Cardstock. Cut a banner in one end. Add adhesive and adhere flush towards the right edge of your card. 5. Next, cut a 1/4″ x 5″ piece of Real Red Cardstock. Add adhesive and adhere flush towards the right edge of your card, overlapping a wee bit on the pool party. 6. Cut a piece of thick white bakers twine and lay it across your strips. Use a hand held stapler to add tow staples diagonally across your strips. 7. Then tie your bow and don’t forget to trim it! Tip: To make a quick banner just make a slit up the middle of the strip and then cut from each corner to the middle slit. This will help keep your banner even. 1. Cut a 3-3/4″ x 3-1/4″ piece of Whisper White Cardstock. This piece is for your image. 2. 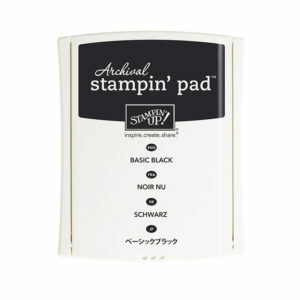 Using Archival Black Ink to begin stamping your images. Tip: I started with the table or tray. I then stamped my sentiment and then started to layer up my images on top of the table. 3. I used Real Red Ink & Pool Party Ink to stamp the color inside my cups. 4. 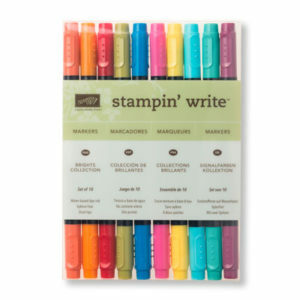 To color the rest of my images I used Stampin’ Write Markers. 5. 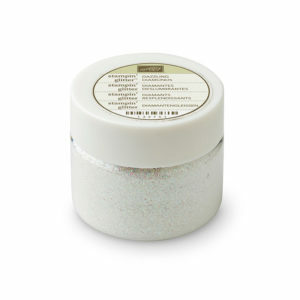 Add a bit more sparkle with dazzling diamonds glitter, a metallic enamel shape or jewel rhinestones. 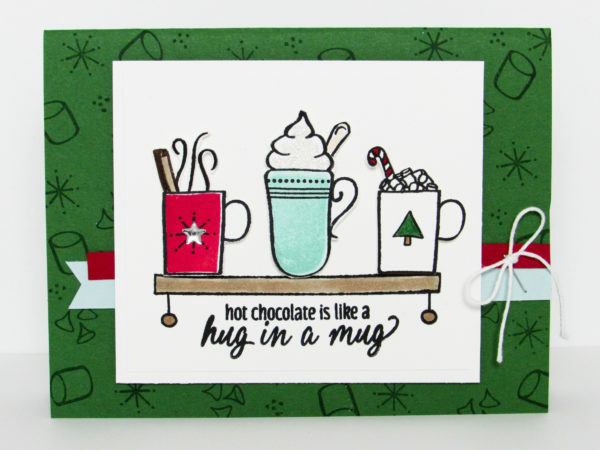 Thank You for my Christmas ” hug in a mug” card that arrived in the mail! It is so pretty. I watched your video tonight and placed an order so we can make the card at Thanksgiving time in Michigan. We all gather together to celebrate, take walks, make crafts and work on puzzles. Let me know if you will be up North, OK? Love these cards! I also enjoy your sparkling personality!